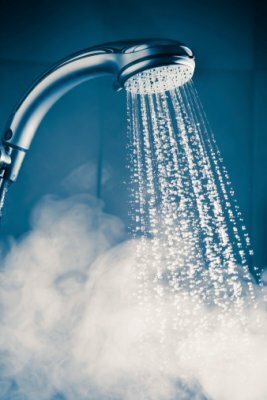 If you have ever stepped into the shower on a cold day and been met with a faceful of icy cold water, you already appreciate the vital role your hot water heater plays. There are several scenarios that can indicate it is time for an upgrade or a replacement. In this post, learn common reasons for replacing your hot water heater and the three steps to ensure you choose the right new heater for your needs. Hot water runs out before everyone in the family has showered. The hot water heater can handle the hot water needs of the family but not the addition of extra frequent houseguests. The family is about to expand (and everyone knows newborns = a busy clothes washer on the "hot" setting!). The hot water heater works only when it wants to (which can indicate a leak or worse). They feel like they spend more on energy costs than on the amount of hot water they get. So maybe you have cross-checked six ways from Sunday and you are certain that a new hot water heater is in your family's near future. But then you start researching and discover...whoa. There are more different types of hot water heaters than you could ever have imagined! Which one should you choose? First things first: you should absolutely choose an Energy Star®-certified hot water heater, regardless of type (in fact, here at Shipton's we sell only Energy Star®-certified products). The conventional hot water heater is still the most popular, in part because it is still the best-known type. This heater works by keeping a reservoir of water heated for on-demand use and a ready supply of cold water for heating up when the hot water runs out. The size of the reservoir can range from 20 to 80 gallons for residential use. As well, a conventional hot water heater can run on electric, oil, propane, or natural gas fuel. Tankless hot water heaters work differently from their conventional counterparts. These are true on-demand water heaters in that they don't heat the water until a request is presented. As such, there is no holding tank required. However, since there is no reservoir, tankless heaters can struggle when several demands come in at once, and the flow rate is also lower than what you may be used to. The best way to get around this is to install more than one tankless hot water heater for different uses. A power vent hot water heater saves energy and improves air quality throughout the home. The tank capacity can be up to 40 or 50 gallons for residential use, meaning less chance of running out of hot water with multiple simultaneous demands. This type of hot water heater runs on electricity but uses combustion plus a fan to efficiently heat the water, which makes it a popular choice for energy-efficient new constructions. A hot water heater that runs on electricity is generally considered to be a more efficient heater than its gas-run cousins. However, the larger the family, the more an electric hot water heater may struggle to keep up with demand. This is because of something called the "recovery rate," which means how quickly the heater can reheat a new batch of water for use. An electric hot water heater can heat about 14 gallons per hour. A gas hot water heater can heat about 50 gallons per hour. So how can you tell which of these different types of hot water heaters is the best fit for your household or workplace needs? The first thing to know is that even the most robust hot water heater will likely need replacing every decade or so (the typical lifespan is anywhere from eight to 12 years). Adding demand to an already-aging heater may hasten its demise. But the good news is, when you replace an old water heater, you can opt for a more energy-efficient model that is in alignment with your current hot water needs. Look at your current heater's yellow energy label. Identify the heater's FHR (first hour rating). This number is how much hot water your heater can produce in one hour of high demand. If you are upgrading out of need for more capacity, this will help you identify the right size hot water heater to purchase. Part of this choice will be what types of energy are available in your local geographic area and the cost of each. You can tell how efficient the different types of hot water heaters are by looking for each EF (efficiency factor)—the higher the number, the more efficient the unit. But you also need to factor in how much it will cost you in energy. Ideally, try to balance out efficiency with energy cost to keep your monthly utility bills low. Of course, all of this means nothing unless you buy a unit from a reputable manufacturer with a high-quality warranty. So choose carefully and don't hesitate to call in a pro for help!